In the Kuibyshev District of Donetsk and in the vicinity of the Putilovsky Juncture, the arrival of Russian-terrorist forces’ tanks has been recorded. Enemy tank units were used throughout the past 24 hours in the area of Pisky, where they tried to provoke full-scale clashes – carrying out accurate fire onto the positions of the Ukrainian troops. The enemy is actively transferring new artillery units and armored vehicles into Donetsk and environs. In particular, new artillery unit firing positions have been recorded in Yakovlivka, Yasynuvata, Spartak, and the Petrovskyi district of Donetsk. During the last two days, at least 2 marching convoys have been observed with armored vehicles and artillery. One of the convoys entered from the south (through Amvrosiivka), the other – through Snizhne and Shakhtarsk. Overall, up to 20 armored vehicles (including 7 tanks) and up to 6 cannon artillery guns have been recorded. Tented cargo trucks with ammunition and personnel were also part of the convoys. The enemy continues to regroup in the area of Bakhmut highway. The majority of the equipment and weapons has been towed deep inside the combat formations. On the “forefront” remain basically [military] observers and fire spotters. The presence of at least 3 mortar batteries and 2 batteries of cannon artillery have been observed in the area. Periodically, a “wandering” MLRS battery makes an appearance. The advance positions of Ukrainian troops south of Debaltseve were fired on with mortars and heavy machine guns. In this way, the Russian-terrorist troops command provided cover for the transfer of reinforcements through Yenakiieve for the units [currently] holding the eastern suburbs of Horlivka. Between the settlements of Dokuchajevsk and Olenivka [Ed. Note: alternative spelling Elenovka], Russian-terrorist troops are setting up a fortified zone. 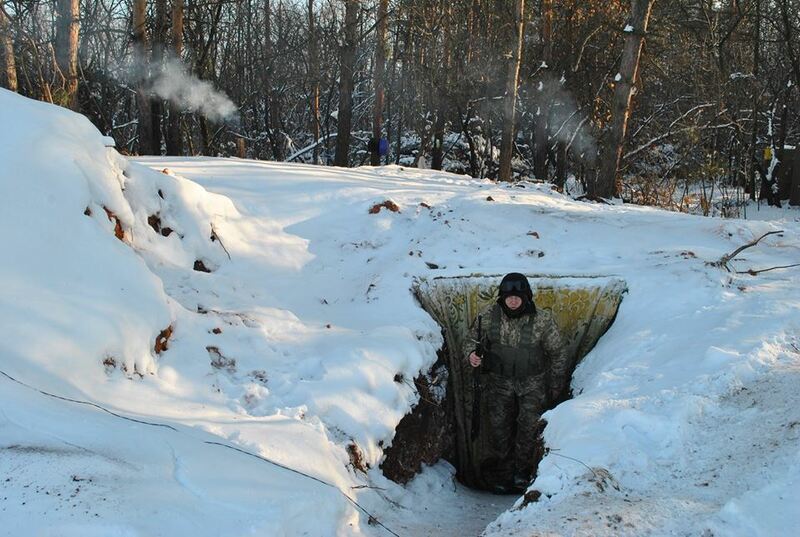 They install hidden firing positions, shelters, mined obstacles, etc. Supply convoys periodically come into the area through Donetsk (mainly with ammunition and fuel). In the vicinity of Komsomolske, the arrival of a new enemy formation staffed by local insurgents has also been observed. The formation consists of up to 12 armored vehicles (including 3 tanks). 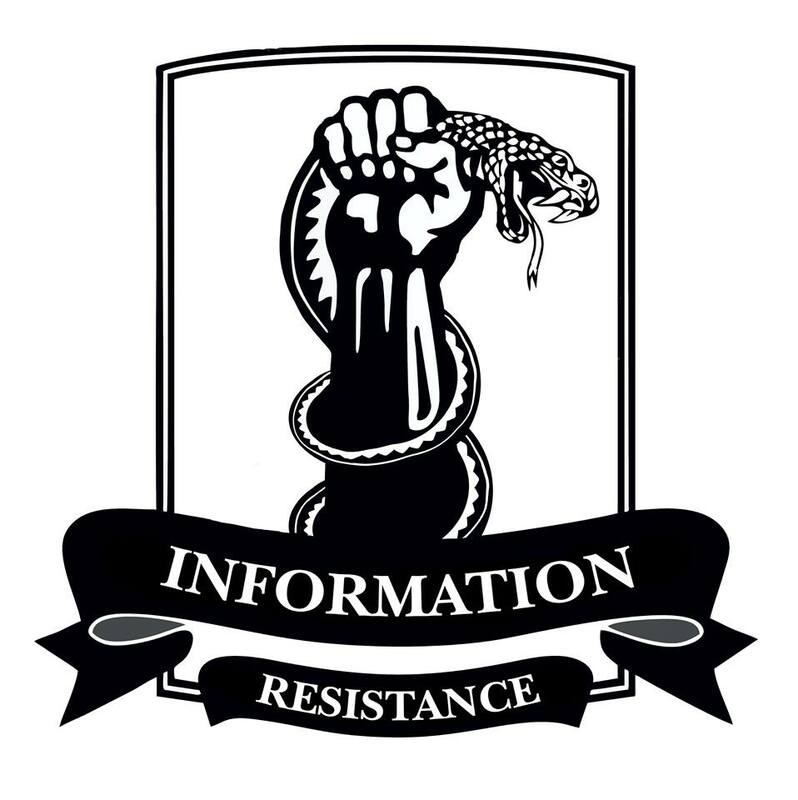 This group interacts with the Russian company tactical group (CTG) operating in the area of Telmanove (which, in turn, fired at the positions of Ukrainian troops near Hranitne two days ago). The artillery unit of one of the so-called “Cossack” formations that was being transferred to the vicinity of Luhansk (a battery of 6 D-30 howitzers), recorded previously by IR, opened fire at a location of the special detachment of Internal Troops of the Russian Ministry of Internal Affairs. The shelling caused panic among the Russian servicemen. There are dead and injured [among them]. 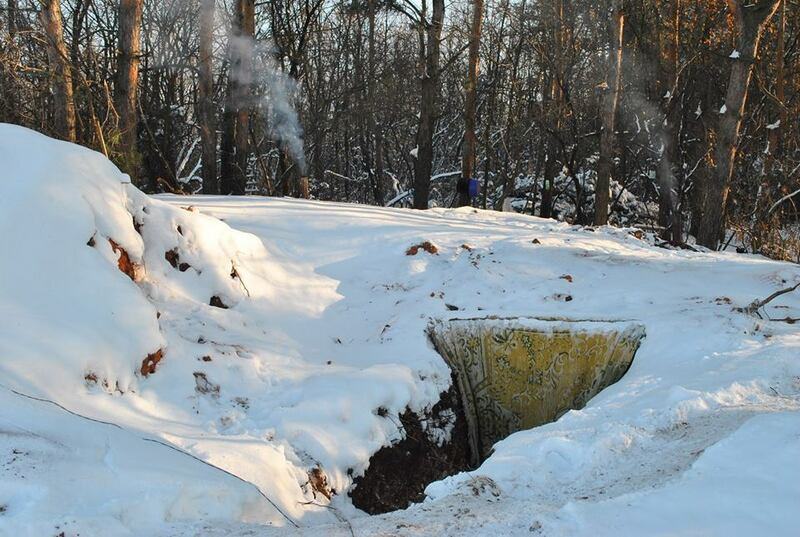 The so-called “Cossack” formations that currently operate in the Alchevsk–Stakhanov stretch are in “permanent combat readiness” due to the plans of the “LNR” leadership to take control of the area. In the area south of Mariupol and Donetsk, the enemy continues to use drones (UAVs) actively, and to actively carry out ground reconnaissance. North of Starobesheve, the operation of a Russian station of radio-electronic warfare (REW) has been observed. The interferences by this REW station are directed at the operating frequencies of Ukrainian troops. This entry was posted in Dmitry Tymchuk, English, English News, South&Eastern Ukraine, War in Donbas and tagged #RussiaInvadedUkraine, #UkraineUnder Attack, Dmitry Tymchuk, Information Resistance, Ukraine. Bookmark the permalink. I wonder whose silence ?.. the west politicians to tell stop to the right person/s?? And caesefire is it right spellilng as Casefire or Causefire.